While we want to see all three things happen our big picture vision is for awakening ~ to see our wider community impacted for Christ. This is why we have taken the time to establish an understanding of the fundamentals of the Faith: the nature of sin, the need for repentance, the nature of salvation & the work of the Holy Spirit. "When God intends great mercy for His people, the first thing He does is to set them a praying." We see this with the greatest revival in the bible recorded in Jonah. Jonah, as we have seen, was a most reluctant prophet of God’s grace & mercy. Before God could speak through him He had to bring Jonah to a point where he was obediently willing to be used & the first thing Jonah did was pray! He had to repent of his past actions ~ & that took some doing! He was a most reluctant messenger! You can contrast this revival with the one that occurs in the New Testament @ Pentecost. You see a very similar process in place ~ & a very interesting process it is. I can’t think of a more diverse group of people but they were all together in the one place & the KJV renders it as being *in one accord. * Now that is an interesting translation because it highlights something significant. There were things that needed to be straightened out amongst these men. There needed to be forgiveness, grace, mercy because they were very, very different types of men; very ambitious men; proud men; volatile men. As they waited in that upper room they were called to prayer & their prayer brought them into unity. They didn’t unify themselves but they did position themselves in a way that allowed God to work. For that to happen they had to forgive each other. I don’t imagine Peter found it easy to forgive James & John for trying to steal a march on being first in the kingdom. I don’t imagine John found Peter’s betrayal [especially after all his boasting] easy to forgive when he himself had stood @ the foot of the cross & watched Jesus die. Nothing grieves the Holy Spirit more than to have believers @ each other’s throats so it was imperative they forgive. 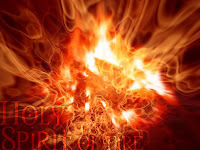 I imagine that as they worshiped the one they all believed in the resentments fell away ~ as they do~ And as these men obediently humbled themselves they were brought into *one accord* & that accord released the Holy Spirit. The process for revival has never changed. It is recorded in 2 Chronicles7:14~16…if my people, who are called by my name will humble themselves & pray & seek my face & turn from their wicked ways, I will hear from heaven & will forgive their sins & restore their land. My eyes will be open & my ears attentive to every prayer made in this place. For I have chosen this temple & set it apart to be holy~ a place where my name will be honoured forever. We must be humble for God resists the proud. Prayer prepares the way. Repentance aligns us with God’s will. The difference between Jonah & the disciples is in the operation of the Holy Spirit. Jonah only knew the Holy Spirit as *the anointing upon* when he was ministering in his role as prophet but the disciples had a whole new relationship with God & thus a whole new relationship with His Spirit. They received *the anointing within. * We, both individually & corporately are the new temple which God has chosen & set apart to be holy. Therefore we are called to walk in holiness. We are not meant to look like the world, talk like the world, act like the world. We are to be different & to be different we are called to be like Christ. Our concerns & interests should be those things that concern & interest Christ. Our obedience is to Christ, not the world. Our love is the love that the Holy Spirit sheds abroad in our hearts. Peter puts it like this: for you are a chosen people. You are royal priests, a holy nation, God's very own possession. As a result, you can show others the goodness of God, for he called you out of the darkness into his wonderful light. Possession [peripoiēsis], which some translations render, peculiar people, can mean a specialty: something rare & wonderful; a treasure. We are not meant to be part of the common run, but something that stands out, rare, unique, beautiful. Christianity has changed so much since the first century that we have lost sight of what God intended His church to look like. We have remade the church in our own image arguing that we need to be *like the world to win the world*, that we need to be *seeker friendly*, that we can have the world & Christ both. Nothing could be further from the Truth. There can be no compromise with the world or the things of the world. Holiness has always been radical. The world has never liked it. True holiness is confronting. It puts the lie to tolerance, acceptance, compromise. It crucifies our flesh. It strips away sin. It reveals our weakness. For most Christians holiness remains an unattainable ideal because they haven’t been taught to shun the things of the world. It’s not easy. Even if we monitor what we watch on t.v or listen to on the radio we have no control over the adds. Clothing is dictated by the fashion industry & the fashion industry has determined what is acceptable, modest, fashionable, rather than the word of God. Our topics of conversation are dictated by the world: gossip, sport, politics. "When you enter the land the LORD your God is giving you, be very careful not to imitate the detestable customs of the nations living there. For example, never sacrifice your son or daughter as a burnt offering. And do not let your people practice fortune-telling, or use sorcery, or interpret omens, or engage in witchcraft, or cast spells, or function as mediums or psychics, or call forth the spirits of the dead. Deuteronomy 18:9~11.But they did them anyway. God is very serious about the call to holiness. Now we can be saved, washed, redeemed, Holy Spirit filled yet still not be walking in holiness but if we are serious about revival then we have to be serious about holiness. Look again at the 2nd part of that verse in Peter: As a result, you can show others the goodness of God, for he called you out of the darkness into his wonderful light. It is not our tolerance, our compromise, our acceptance, our understanding that shows others God. It is our holiness. A whole other way of being. That is what the word of God says about it. The world says other things but the world’s way has been tried & found wanting. The church has tried the world’s way & there has been an ever increasing decline in numbers & church attendance for decades. It is past time to repent & return to doing things God’s way.